John C Lennon LOL! 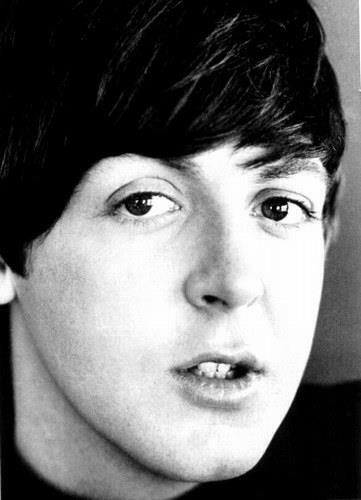 !That's definetly classic John. I've been looking for that, thanks so much! Looks like a cross between a credit card and a business card. It allows the user one free download of the book; you don't need the actual card, just the info on the back. So .... I thought I'd try it out right here on the BB Forum. "the price will reset to zero" and you can click CHECKOUT. This is good for ONE USE. If one of you tries this, can you let me know if it works? Been thru the whole process and it worked fine. Well i think its downloading - wasnt sure how far i was meant to go to see if it works. Yip its in a pdf file on my computer, 405 pages. Finally, after 1388 posts and days and days of being on the site i get my reward. About time too. By the way why is the publisher giving the book away for free in a promotion. People wont buy it if they have it already. Meanmistermustard said, "By the way why is the publisher giving the book away for free in a promotion. People wont buy it if they have it already." This particular BOOKstub was a freebie sample from the publisher. They're hoping I'll like this BOOKstub idea and BUY some more of these cards. It makes it easy for me to give the book away (easier than ordering the hardcopy of the book, waiting for it to arrive, packing it, mailing it, etc...). The next question of course is, "why would an author give away his work?" Sometimes it's a business decision: when the Wall Street Journal expressed an interest a few weeks ago, it was well worth my time and effort to send them a copy! But life isn't all business. Sometimes, if you think someone's going to really enjoy it, you're happy to give them a copy. Ah, that makes sense. I know that its, at times, beneficial to give prospective promoters samplers/copies to try and spark interest, you have to spend to accumulate. Especially if you are paying for it. Tho I presume since youre the author you get a discount, surely you dont pay full price. 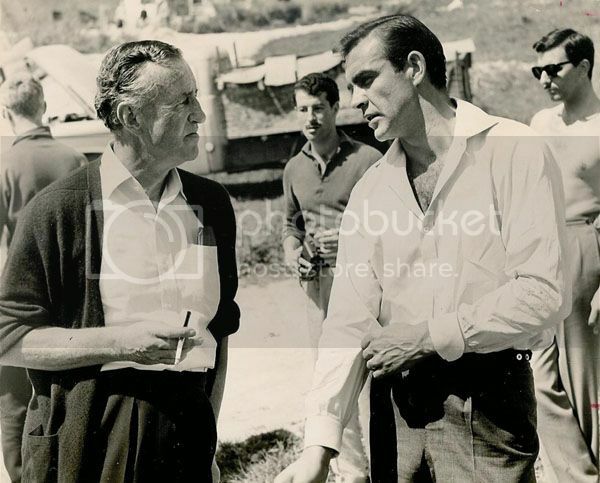 Nice picture of Ian Fleming and Sean Connery. (The working title of Into the Sky with Diamonds was Apollo, Beatles, Bond - so there's a fair amount of Bond in the book). Fleming got to see the first couple of Bond movies but passed away shortly thereafter. Still, it must have been a thrill. In the books, “From Russia With Love” immediately precedes “Dr. No” – just the reverse of the movies. In the movies there is no connection between the two. The James Bond theme we all know and love is credited to Monty Norman. In fact, it was written by John Barry. United Artists had an agreement with Norman that he would write the score; however UA didn’t care for any of his submissions. For 200 pounds John Barry wrote the score we know without ever having seen the movie. Some of the music was original, but some of the instrumentation (e.g. the jangling guitar) Barry took from a prior composition. Barry would go on to write many more movie scores (including Bond movies). So what makes these Snoopy astronauts special? When the Apollo portion of the Race to the Moon began, NASA now had 2 spacecraft to communicate with: the Command Module and the Lunar Module. It was decided that each would have its own radio call signal. The Apollo 10 astronauts chose “Charlie Brown” for the command module and “Snoopy” for the lunar module. 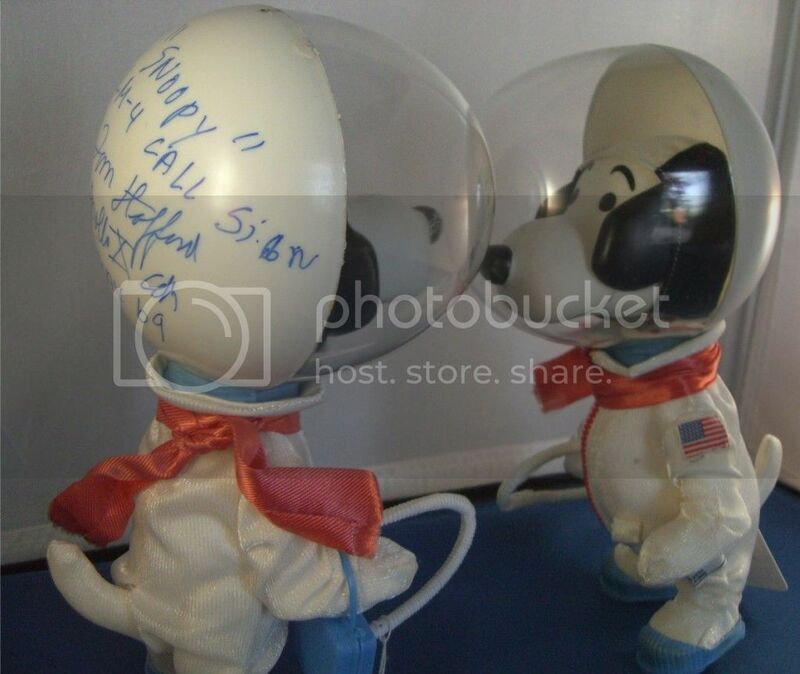 Accordingly, the Apollo 10 lunar module pilots, Tom Stafford and Gene Cernan, have each signed one of the Snoopys. [As commander of Apollo 17, Cernan would go on to be the last person to walk on the Moon]. It was late May 1969 when Apollo 10 flew to the Moon (and came close to landing). Meanwhile, John and Yoko were busying themselves with their bed-in in Montreal while Paul readied himself for the Beatle finale at Abbey Road . 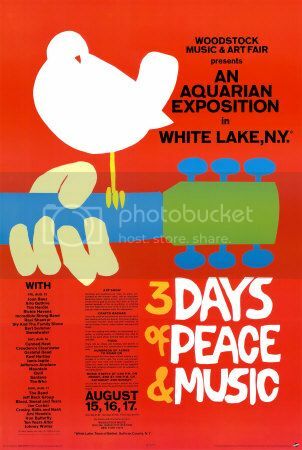 Woodstock was around the corner, though in serious jeopardy. Why, what was happening with that cute little birdy? The birdy was fine (whew! )- but not the music festival. The town of Woodstock turned down the request for a permit. Cool that the Peanuts legend is far reaching. Didnt some kind of snoopy thing go into space at one point (not just the signals), possibly late 80's earlier 90's, or have i made that up? It was probably one of the cartoons. We're coming very close to the 50th Anniversary of the Beatles' famous audition with George Martin at Parlophone. 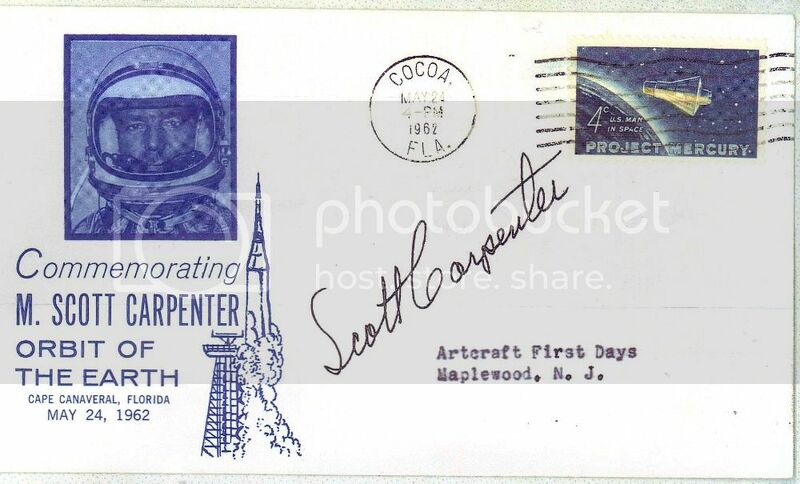 Meanwhile, this is the 50th Anniversary of Scott Carpenter's Mercury flight aboard Aurora 7. Carpenter was the first and last astronaut to ..... run out of fuel. His guidance systems knocked out, he splashed down 250 miles from his target. But he made it. ITSWD, that link 3 up to the snoopy in space thing (i cant quote your message); thanks for that. Cool that Snoopy beat his arch enemy, next doors cat, into space. He never managed to the get the upperhand elsewhere. I interviewed Lennon's New York optometrist last week. Very nice, unassuming fellow. He made a large number of glasses for Lennon including the famous blood stained glasses Lennon was wearing the day he was shot. He has good stories to tell. Interesting story by the way. Email Yoko. Suprised they're not out already. Hahaha I don't think I would have money for those glasses, and she probably already sold them, but this optometrist can probably make good ones (since Lennon was satisfied). Long John Silver said, "I wonder if he can make some good Lennon sunglasses"
I can ask! 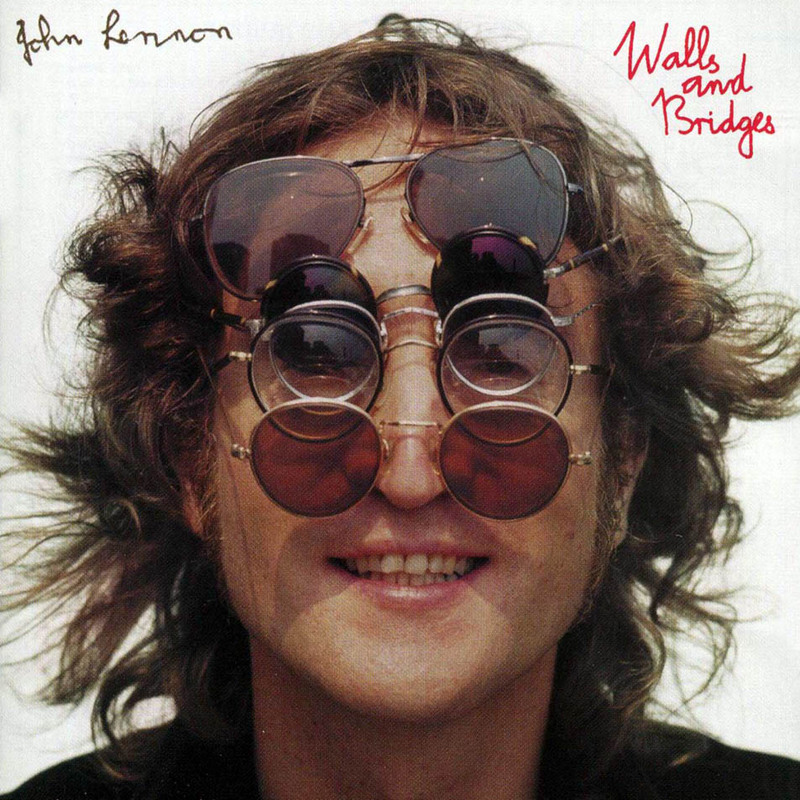 Lennon had MANY different glasses in the 70s, so we'd have to be more specific.